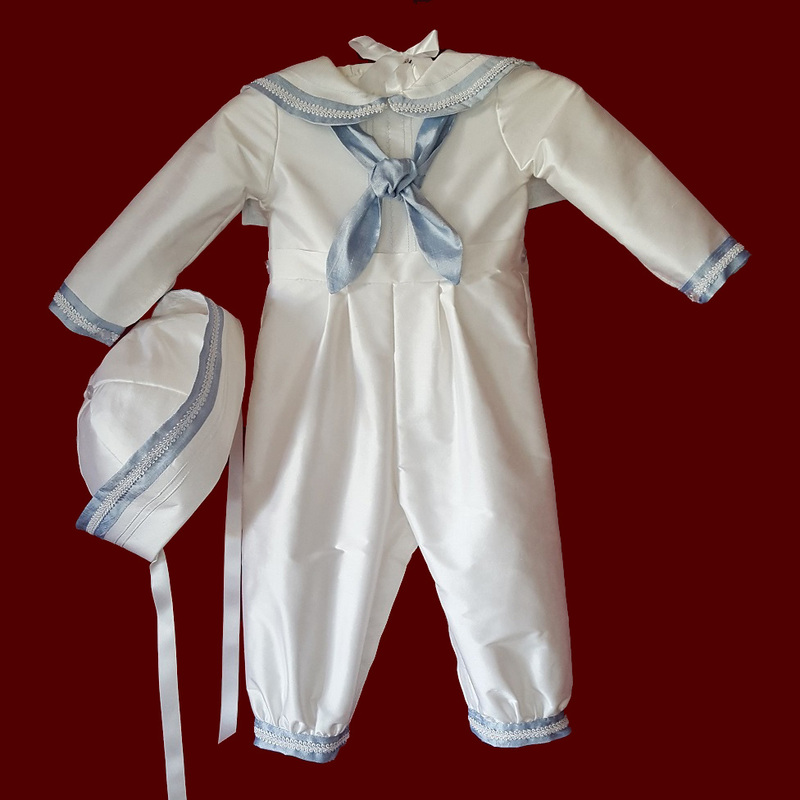 Sailor style collar and ties with pintucking detail are featured in this silk dupione boys christening romper with blue silk & braid accents on the detachable gown and sailor style hat. 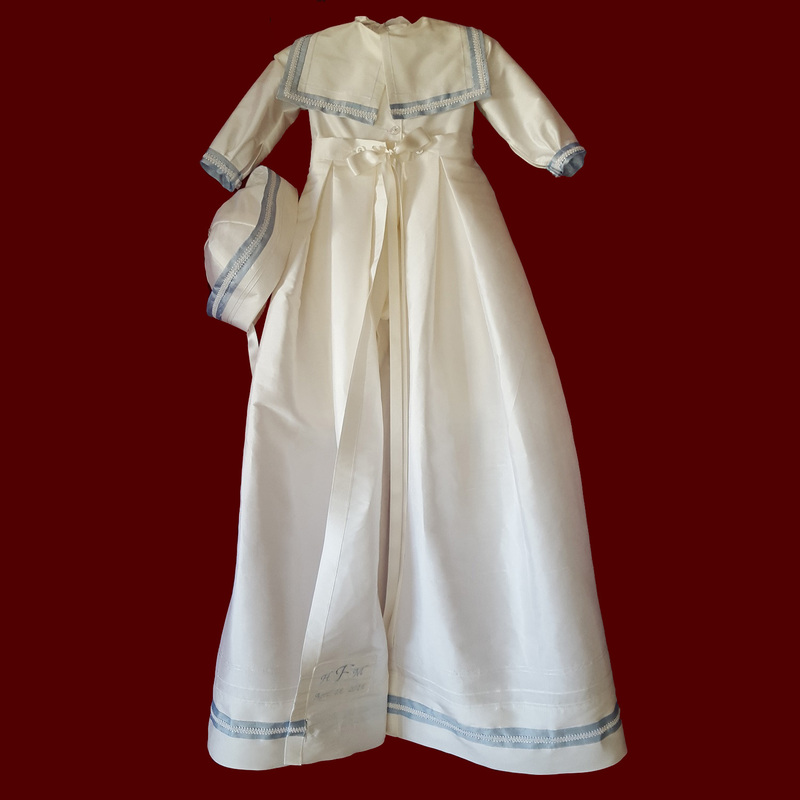 Gown has embroidered cross with pintucks and folded tucks at the hemline and buttons to the romper at the waistband. The gown is open down the back skirt portion to allow for easier diaper changings and the ability to spread the gown out fully for beautiful portraits. 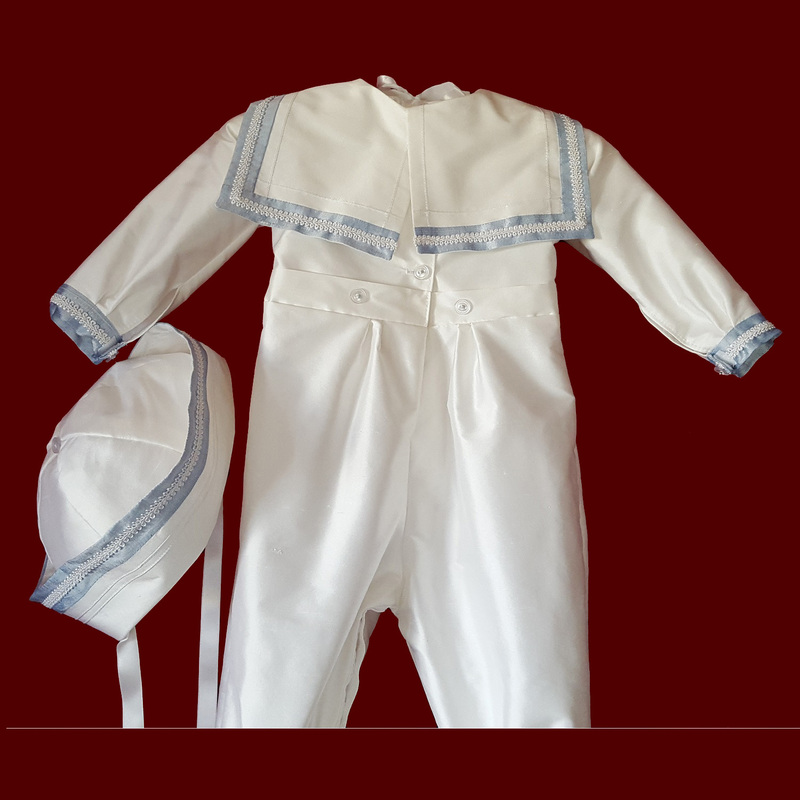 Romper has inner leg snaps, a double row of buttons down the back yoke to adjust the size and is available in long (shown) or short sleeves and long (shown), knicker or short legs. 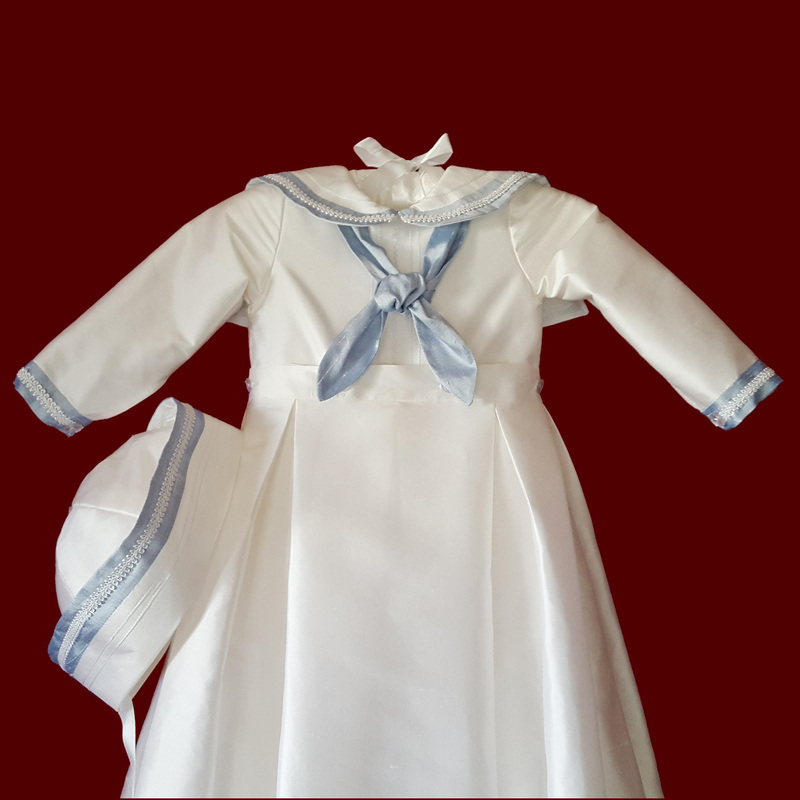 Including matching sailor style hat with ribbon ties. 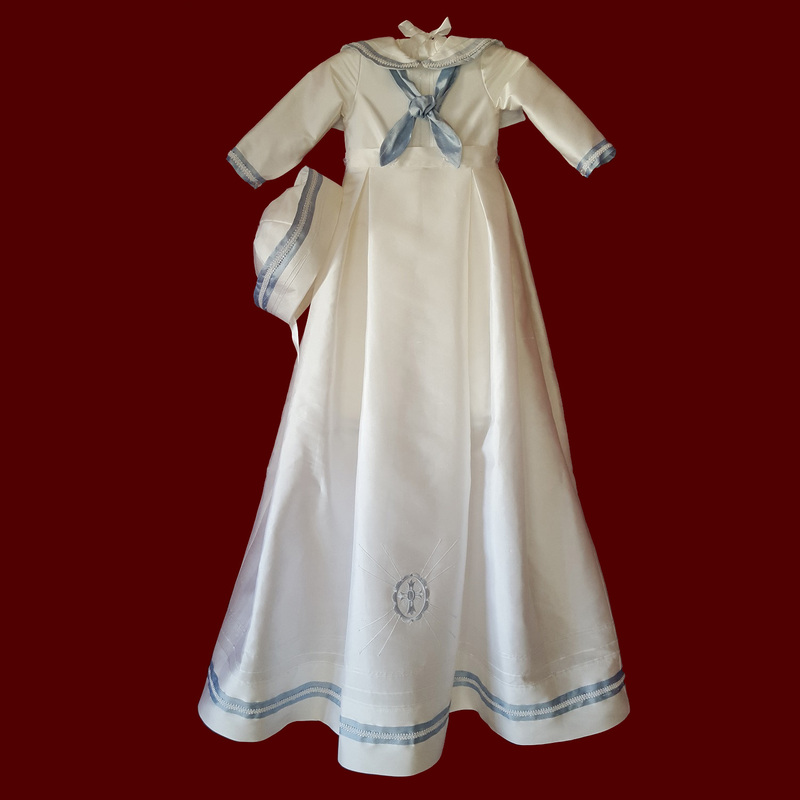 Available in a variety of fabrics in white or ivory with blue accents including silk dupione (shown), shantung, Irish linen, linen batiste, cotton batiste and matte satin. 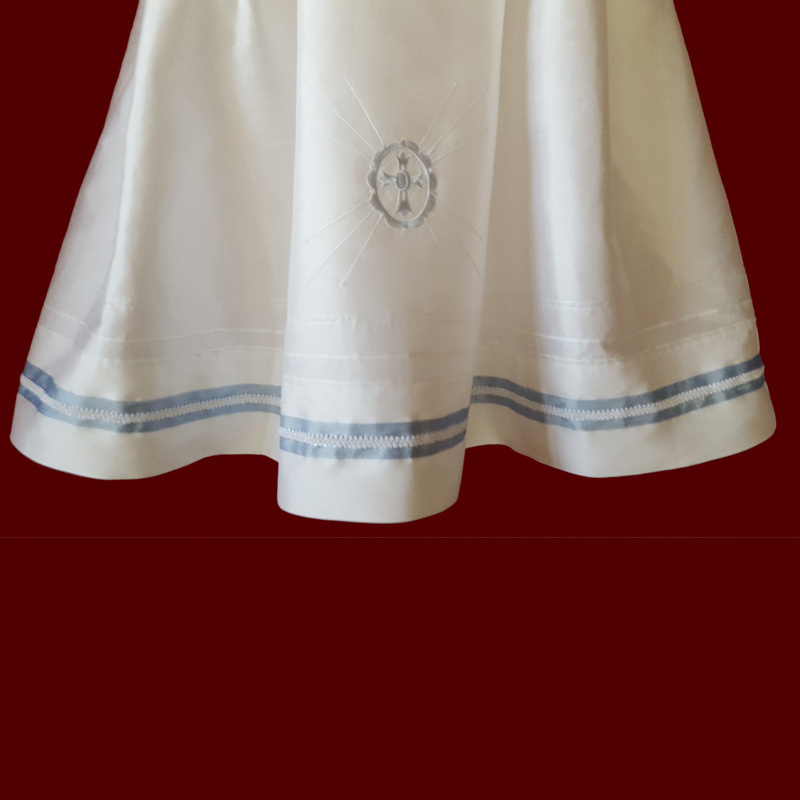 **New embroidered cross designs to choose from. Irish accents may be added to all items on this website.